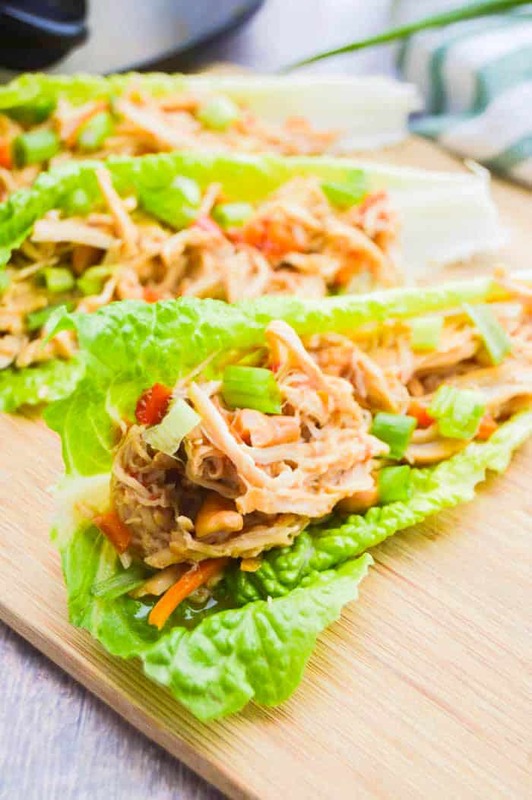 Simple Slow Cooker Asian Chicken Lettuce Wraps that can be dumped into the slow cooker until they are ready to serve. Made with teriyaki sauce and cashews it’s a favorite in my house. If you ever get that take out craving then this recipe will hit the spot. 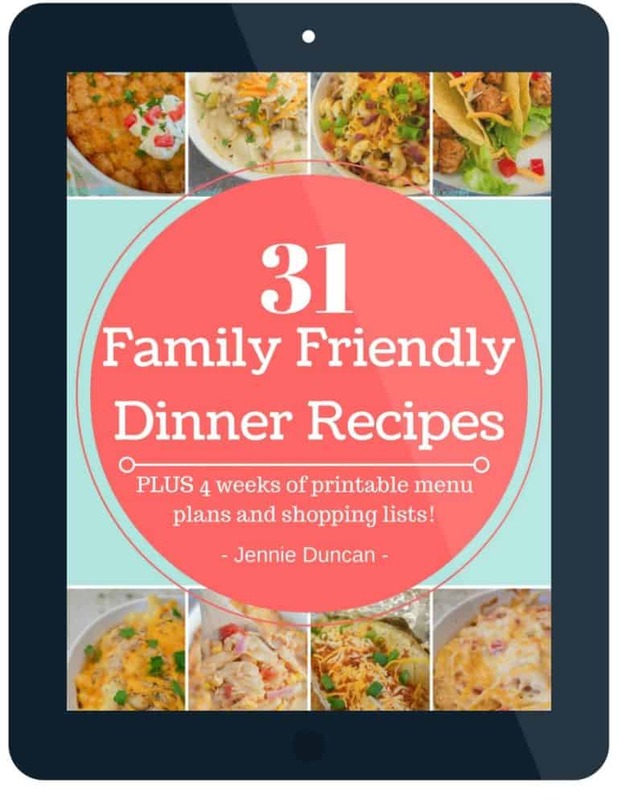 It’s a favorite of mine and is so simple to make. Just dump everything into the slow cooker. The best way to cook! 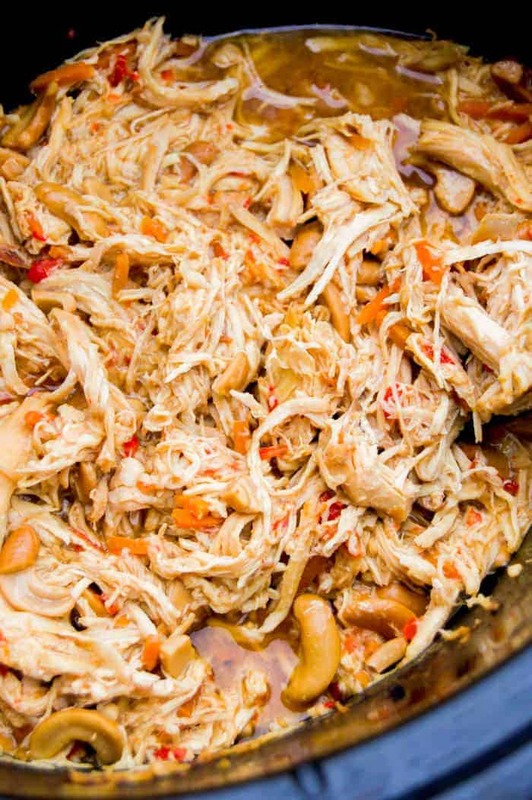 To your slow cooker add your chicken, minced garlic, red bell pepper, shredded carrots, onion powder, salt, teriyaki sauce, soy sauce, chicken broth, and cashews. Mix then cover with lid. Allow cooking on high for 4-5 hours or low 6-8 hours until chicken is fully cooked and tender. Use a fork to shred your chicken. Spoon out your chicken onto lettuce leaves and top with green onions to serve. Do I have to serve this as a wrap? I serve this chicken in several different ways. We love it in a lettuce wrap but you can skip the lettuce and serve over rice or even with fried rice. Sweet and Sour Meatballs: The best meatball made in the slow cooker. These Slow Cooker Sweet and Sour Meatballs are perfect served with rice for dinner or as a tasty appetizer. 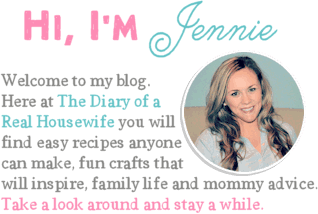 Plus check out all my must-haves for the winter season. Easy Orange Chicken: I made my orange with just easy three ingredients! Yep, just three!! 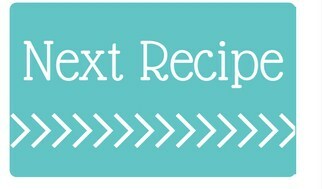 You can also find a recipe video at the end of the blog post! Slow Cooker Sweet Kielbasa: As dinner or the perfect appetizer you are going to love this easy recipe! These Slow Cooker Sweet Kielbasa and covered in BBQ sauce and sweet syrup. 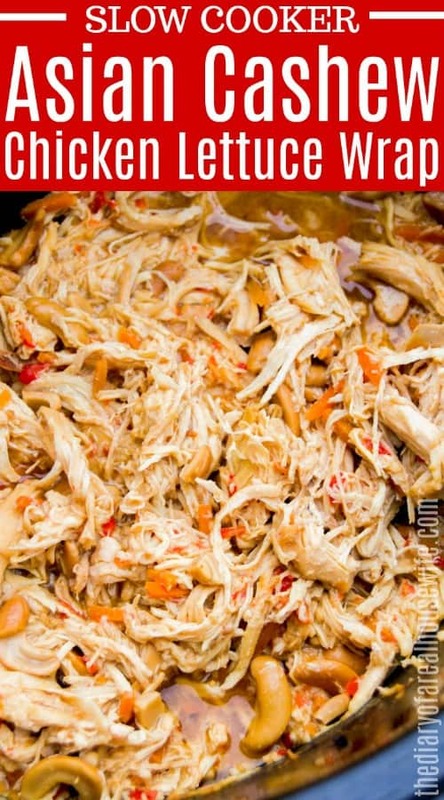 To your slow cooker add your chicken, minced garlic, red bell pepper, shredded carrots, onion powder, salt, teriyaki sauce, soy sauce, chicken broth, and cashews. Mix then cover with lid. Allow cooking on high for 3-4 hours or low 5-7 hours (until chicken is fully cooked and tender). Use a fork to shred your chicken. Spoon out your chicken onto lettuce and then top with green onions to serve.